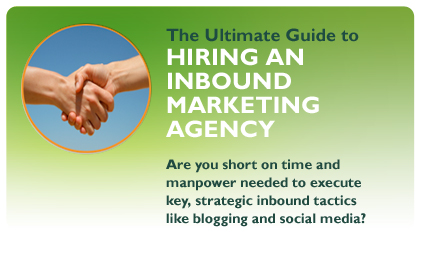 As government agencies strive to find new and better ways to serve citizens, those that have discovered the power of inbound are reaping the rewards. Government agencies are re-inventing the traditional buyer’s journey to create a citizen centric journey which provides improved citizen engagement experiences. For corporations, the buyer’s journey reflects the stages that a prospective buyer would travel as they seek to solve a need and buy a good or service from a company. Since most government agencies are not selling goods or services, the buyer’s journey is better represented as citizen centric journey, one which serves to outline the path that a citizen takes to get information or services from a government agency. Utilizing an inbound methodology, government agencies are shifting from a one-size-fits-all approach to a more personalized approach to citizen centric engagement, which focuses on people, and takes advantage of technology to support the most viable approaches to improving customer service. In government, the inbound movement is a result of government employees striving to take advantage of technology and industry best practices to positively affect change and improve customer service. Utilizing an inbound methodology to serve citizens is an efficient and cost effective approach in a some-to-many service environment -- where citizens have come to expect government to adapt to new technologies and keep pace with innovation. The stages of an inbound methodology for government are outlined below. As citizens, we typically don’t engage our government until we need something -- We are “Citizens”. At any point that we begin to experience a need or desire for a service offered by a government agency we typically begin to search for information or articles -- We move to the “Citizen Visitor” stage. Once we find the agency that can help us, we engage that agency through some form of communication. Using an inbound methodology we would likely fill out a form or download some content -- We become a “Citizen Contact”. In the case of a form requesting information, the form data would be routed internally within the agency to direct us either to the content we desire or to a department or individual who can assist us. The form data may be routed through a simple or complex workflow depending on the nature of the request, and it may be routed using email or a Customer Relationship Management (CRM) software system such as Salesforce.com. Once properly routed, we receive the information or services we require -- We become the “Serviced Citizen”. With the proper response, follow up and nurturing, we become a “Satisfied Citizen” who will communicate our experiences to friends, family, co-workers and others. Government agencies who utilize an inbound methodology spend time thinking about how to delight their citizens. They build content to attract citizens who need their services. They create user-friendly web and mobile experiences to invite visitors to engage with them and they manage their contacts with smart content and great experiences throughout simple and complex workflows to ensure they are providing excellent service. Perhaps most important however, government agencies who subscribe to an inbound methodology are monitoring their effectiveness and seeking ways to constantly improve and provide a more citizen centric journey.